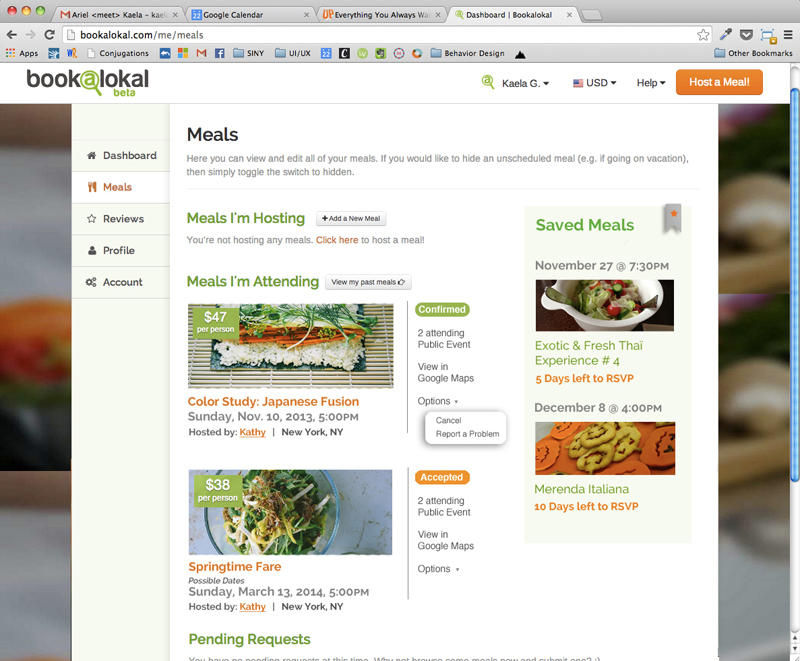 As a student at Startup Institute New York , I was a assigned with other designers, marketers, and developers to help Bookalokal , a seed stage startup based in New York focused on providing a platform for local food experiences. 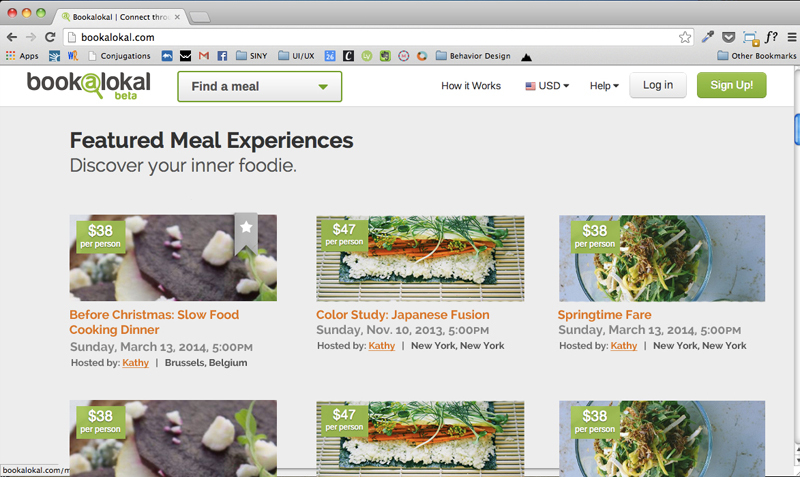 We were asked to help incorporate some social elements and improve their user base. 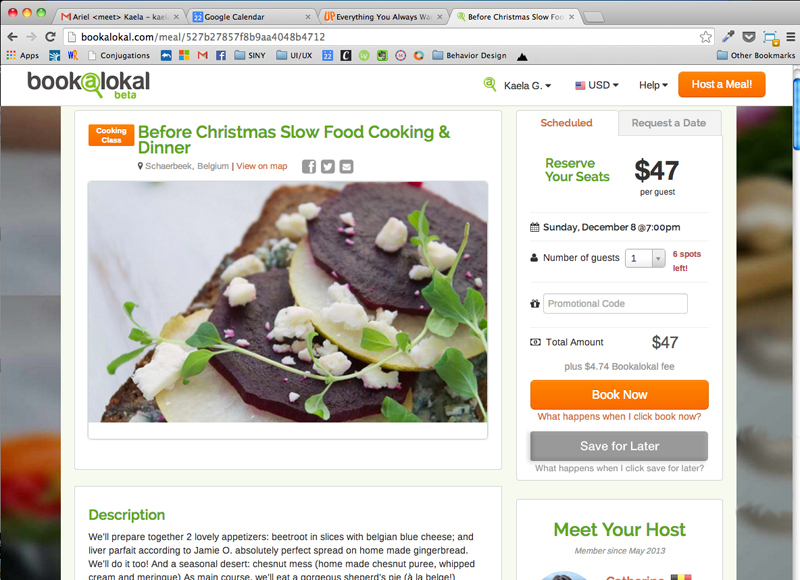 We created a "Save" feature, so users could bookmark events for later purchase. Here is the story of the creation of this element, from whiteboarding the user flow, to wireframing, to final mockups and deliverables.